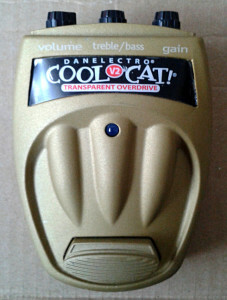 Danelectro CTO-2 Transparent Overdrive V2 from Danelectro Cool Cat series. Made in china around late 00’s to early 10’s. This unit was the very first of Cool Cat series pedal i ever bought. Got it as used unit from one great local guitarist who had just tried it out. The price was right so i grabbed it. For the pedals in this series it’s usual to see number of upgrades in V2 or just later versions of the pedals. For this particular unit, there are added DIP switch under the battery door. This switch lets you to change the clipping options added to the second version. 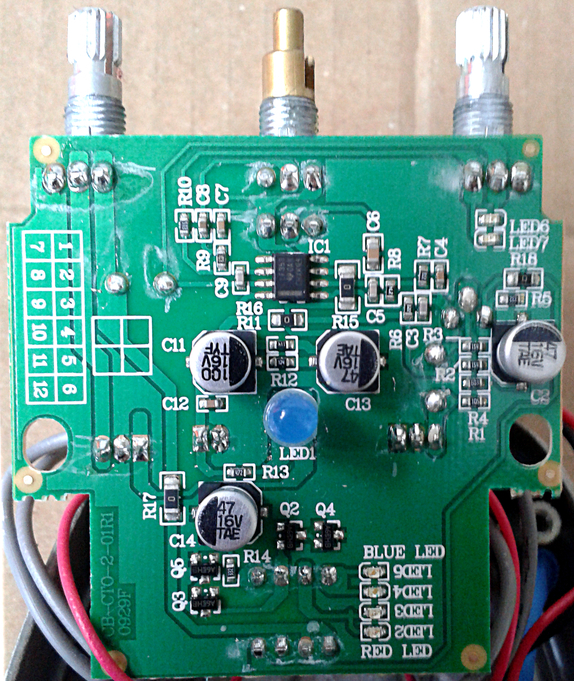 Construction, board quality and design decisions are very close to all the other units in the series. The special usage of two sides, that’s not something i’ve seen too often. The board is otherwise SMD, but there is one transistor and a couple of capacitors on the other side of the board. Apparently the board is designed in a manner that it can handle these components in either through hole, or surface mount components. Idea or reasoning behind this method is unknown to me. While i can’t be sure at the moment, the design seems like slightly modified version of CTO-1, the renowned Danelectro Timmy. With added clipping options of course. 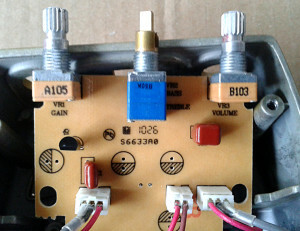 These options seem to switch between four LEDs (red and blue) and four MOSFETs. The switching can also take them all of, which leaves us with opamp clipping only. And tons of output level. I must point out that while i may seem like a fan of Danelectro boxes, their board designs have not made me feel at home since late 90’s. There is something in the looks that make it look forced somehow. Otherwise the controls are quite standard. You got your volume control, bass/treble EQ section and your gain control. Once again, the treble/bass controls as a concentric pot isn’t the best of ideas (as the knobs tend to touch each other when turning). 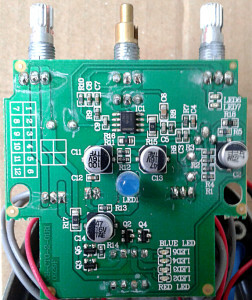 Sufficient controls and sufficient levels of volume and gain. All this in small, thick aluminium box and armed with 3PDT true bypass. And for the price? How could this go wrong? This time it doesn’t. Very nice sounding Timmy-derivative with good controls and a sound that is very much usable. The tweakable clipping take the sound from all out booster via compressed to open distortion. Nice sounding overdrive. And for this price range, i suggest you try it out. You won’t lose much is you decide you don’t like it. 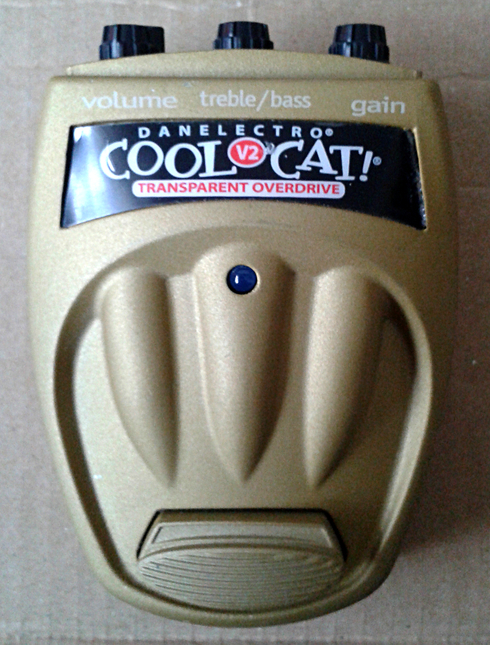 This entry was posted on Wednesday, October 22nd, 2014 at 10:00	and is filed under Cool Cat Series, Danelectro. You can follow any responses to this entry through the RSS 2.0 feed. You can leave a response, or trackback from your own site. first of all thanks for all the work you put into these pages. maybe you can help me out. 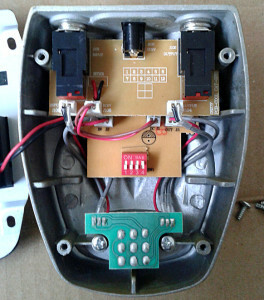 I’m stuck with repairing my girlfirends Cool Cat Fuzz V2 and I can’t find schematics or a gutshot of the pedal. Thanks, but there’s not much i can do at the moment. What is the issue? when i opened it up, some sort of wire seemed to be burned. One end led to C11 on the circuit board, the other end is what makes me wonder. i just don’t know where to put it. cool, thanks, i’m in no hurry. just want to fix it sometime, ’cause i don’t like to have too many broken boxes around. I currently own two of these, the first one I picked up for $20 off of Craigslist and the second was a backup because of how impressed I was with the sound of this particular pedal. Hasn’t left my board and I couldn’t be happier. Great cleanish boost with a hint of hair. Entries (RSS) and Comments (RSS). 27 queries in 0.207 seconds.